Written by Polly Simons for C&I. This is part one of two. 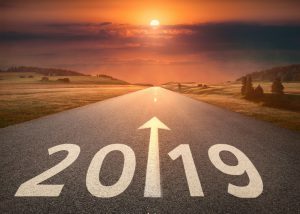 With 2018 more than halfway through, savvy retailers are already looking ahead to 2019. The good news is that, despite the doom and gloom that’s often predicted, the future is bright. “This is potentially the most exciting time for convenience retail,” said Scott Annan, a small format retailing expert and founder of the industry group Independent Retailer Owners Forum. “There are so many opportunities for retailers who truly understand what their customers want, rather than what their supply chains, wholesalers and manufacturers demand.” We asked him and other top retailers and industry experts about the trends that will define the year ahead. If there’s one trend that defines the future of convenience, it’s foodservice. “It’s the biggest opportunity out there,” said Scott Annan. “People have to eat and drink three times a day, so there’s a thousand opportunities to sell food and drink to a person.” But while Subway and other international foodservice outlets have been a fixture of c-stores for a while, increasingly retailers are taking matters into their own hands, producing their own range of hot and cold food in in-store kitchens or offering up store space to other local foodservice providers. One retailer doing just that is the independent convenience group, Simply Fresh, which operates more than twenty stores across England and Scotland focusing on fresh food and food-to-go. Many Simply Fresh stores include foodservice options, such as smoothie counters, choose-your-own salad bars or seasonal hot meals, while Simply Fresh PopUps offer a space for local street food outlets to sell their products. Plans are also in place for restaurant-style eat-in areas. The UK convenience scene in 2018 as been marked by several big events: the collapse of groceries wholesaler Palmer & Harvey in late 2017, and the consolidation of several industry players, including the takeover of groceries wholesaler Booker by supermarket giant Tesco. Such changes are a sign of what is to come, as retailers consolidate their businesses to remain competitive, and customers and retailers opt to cut out the middleman and work directly with suppliers, leading to pressure on independent retailers to lower their prices to match. “These consolidation deals give the groups greater buying power and the opportunity to pass any savings on to the consumer, but lower prices across the channel will put pressure on independent retailers to follow suit to order to compete, and threaten their margins,” said Val Kirillovs, research and insights director at shopper research and insights company HIM. Supermarket giant Morrisons recently teamed up with Amazon to deliver its products, and while Amazon’s arrival in Australia has been underwhelming so far, something similar could happen here – and not just from Amazon. “Alibaba is only just getting started,” said Annan. Will ‘shop-and-go’ technology impact stock loss?